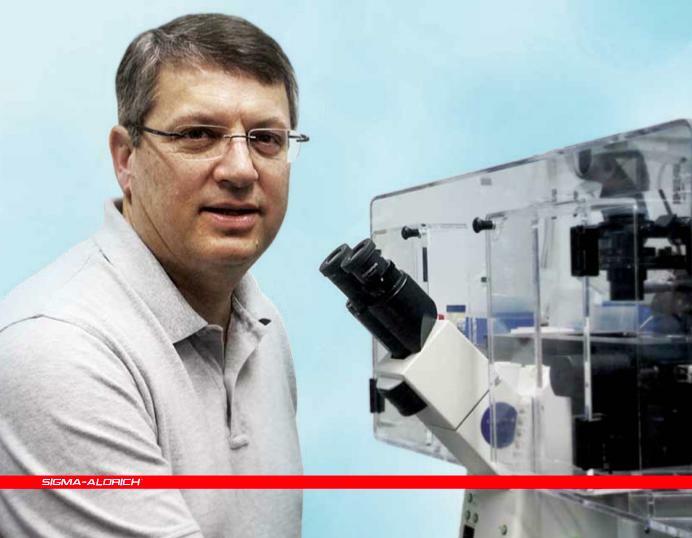 The May 2012 edition of Biowire, a publication of Sigma-Aldrich, includes an interview with David Drubin about the projects in our lab looking at clathrin-mediated endocytosis (CME) in mammalian cells using zing finger nuclease (ZFN) technology to undertake targeted genome modification. Traditionally, CME has been studied in cells in which fluorescently-tagged components of endocytic machinery are overexpressed using exogenous constructs. Data obtained in many labs using these methods suggested that CME was highly variable. Using ZFN technology, in collaboration with Sangamo Biosciences, our lab recently showed that CME is robust and efficient in mammalian cells. The new results highlight the technical advantages of tagging genes at their endogenous loci, an approach that has been historically limited to genetically tractable organisms, such as the Drubin/Barnes Lab favorite Saccharomyces cerevisiae (budding yeast). Emerging technologies, such as ZFNs and TALENs, however, are now making this sort of precise genomic manipulation possible in animal cells, including human cells, giving us new and powerful ways of studying cellular biology. Cellular processes should be studied as close to their natural states as possible. I suspect that, as we see more uses of zinc finger nucleases [for tagging endogenous genes], people will find that they have been inadvertently perturbing the processes that they have been studying. This entry was posted in News and tagged actin, clathrin, David Drubin, endocytosis, genome editing, interview, mammalian cells, molecular biology, people, Sangamo, Science, Sigma-Aldrich, Zing Finger Nucleases on June 5, 2012 by NateKrefman.